Yesterday Hoss v Bullinger was awarded his Breed Survey for Life! 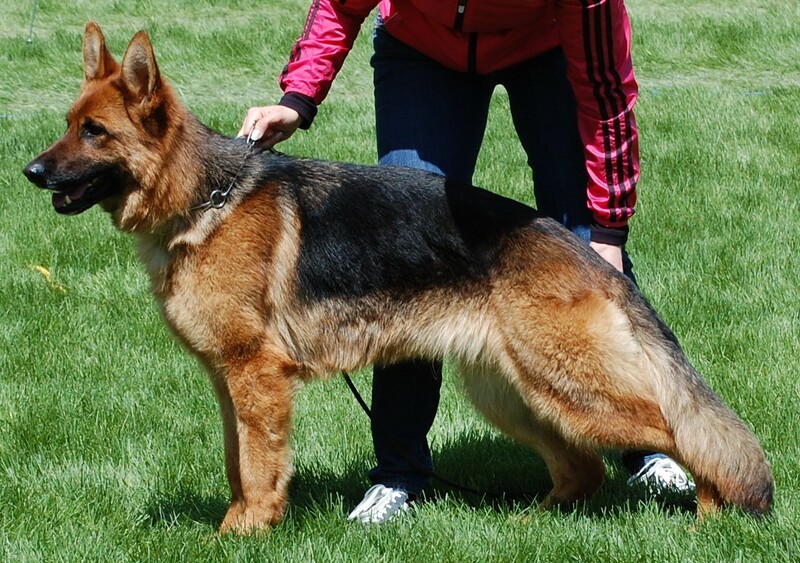 “The breed survey is the ultimate instrument used as the selection method for the German Shepherd Dog Breed. It is absolutely necessary for the preservation and advancement of this breed. Originally developed in Germany for their domestic stock, in 1922 the breed survey also became the tool used as a resource for breeding the German Shepherd Dog. Simply explained, German Shepherd Dogs need a certificate for reproduction. For more information on What a Breed Survey means and why they are important please visit the United Schutzhund Clubs of America’s site. Today Emster v Bullinger and Hoss both passed their bitework portion and will show later today. We are so proud of our dogs and grateful for all the help and assistance we’ve received from trainers, helpers, and friends.